Many people don’t think about the cost of a dog when picking Fido up from the shelter. I for one considered the financial commitment only briefly before I got suckered in by those big puppy eyes. I knew dog food and vet bills were going to add to my expenses, but I really didn’t have a figure in mind. Not until I got home did I realize that all of the small expenses that come with the benefits of owning a dog – like treats, toys, collars, leashes, and training – add up quickly. However, after a bit of practice, I learned where to spend my money and where to save. Now I have a happy, healthy pup – and a happy, healthy wallet. Here are some areas in which you can save and splurge for your pet costs. When I first got my dog, I looked into hiring a professional trainer. After watching hours of It’s Me or the Dog on Animal Planet, I was determined to have a well-trained puppy, one of those dogs that visitors would “ooh” and “ahh” over. Group training sessions in my area, however, ran anywhere from $20 to $50 an hour, while private training sessions cost more than $100 a pop. I would definitely need more than one session, and those fees were going to add up quickly. On the other hand, I could Google “do it yourself dog training” for free. And that’s what I did. I trained my dog myself, at home, for free and saved at least $200. Even if you’ve never had a dog before, you can teach basic obedience commands and tricks yourself. Save the money and read up on dog training either at the local bookstore or through online resources. I paid for an arsenal of ropes, bones, and chew toys, but my dog’s favorite toys are a soccer ball I found on the street and an empty plastic soda bottle. You’re going to need toys to entertain your pup and keep his mouth off your shoes and furniture, but he doesn’t care if you spend $2 or $20 on that ball. For small, less destructive breeds, you can find decent toys – cleaner than the ball I found on the street – at dollar stores. If you have a larger, energetic pooch that’s likely to tear up a cheaper item, start scouring the Sunday ads. The large supply chain stores run great sales on indestructible brands. Dogs, especially puppies, crave opportunities to socialize with other dogs, and with people too, so it’s no wonder many owners drop their pups off at a doggie day care a few times a week. For a fee, your dog can make friends and play all day long, and you don’t have to wonder what he’s doing to your home while you’re not there. A friend of mine takes her dog to the daycare twice a week and spends $25 for each session. I take my dog to the dog park, which costs $25 a year in my neighborhood. I save a bundle, and my dog still has plenty of space for running around with lots of other dogs. In some cities, you can even find free access to dog parks. To find a park near you, search the DogGoes website. Healthy, high-quality dog food has human-grade sources of protein, vitamins, and minerals that will help your dog live a long and healthy life. Off-brand, low-quality food might be save a few dollars, but they contain grain, wheat, soy, and other fillers that can cause canine health problems. Dogs can even develop allergies to the ingredients that cheaper dog food companies use. Don’t skimp on the quality of the dog food or treats you bring home to your dog. However, just because you’re willing to splurge on good nutrition doesn’t mean you have to overspend. Shop smart by checking weekly pet store ads, and stock up when your favorite brand is on sale. Also, visit the brand’s website and sign up for their mailing list. They’ll often send you coupons throughout the year. You may even be able to buy in bulk. Sam’s Club sells three-packs of Buddy Biscuits, an all-natural dog treat that my puppy loves, at a much cheaper price point than the pet stores. Most people think about expensive vet bills when they’re considering the cost of a dog. These medical treatments are expensive, especially in the first year, but immunizations and wellness exams are vital to helping your dog stay healthy. Spend wisely by doing some comparison shopping when choosing your vet. Make a few quick calls to nearby clinics and ask for a price quote. You can also save plenty by shopping online for prescriptions. Many websites offer discounted flea and heart worm medications. Just make sure you buy from a reputable company. The best investment I made for my dog was a top-quality kennel. It was also one of the most expensive things I’ve bought for my pup. If you plan to crate train your dog, you will need a kennel. Every store from the supercenters like Wal-Mart to your local pet store sell kennels that come in a wide variety of price ranges and levels of quality. If you know your dog will spend a good amount of time in the kennel, go ahead and splurge on a large, high-quality one. He’ll have room to move around and you won’t have to worry about him breaking out of a poorly made gate while you aren’t home. The key to being a good pet owner without breaking the bank is to do your homework before you make a commitment and take your new pup home. 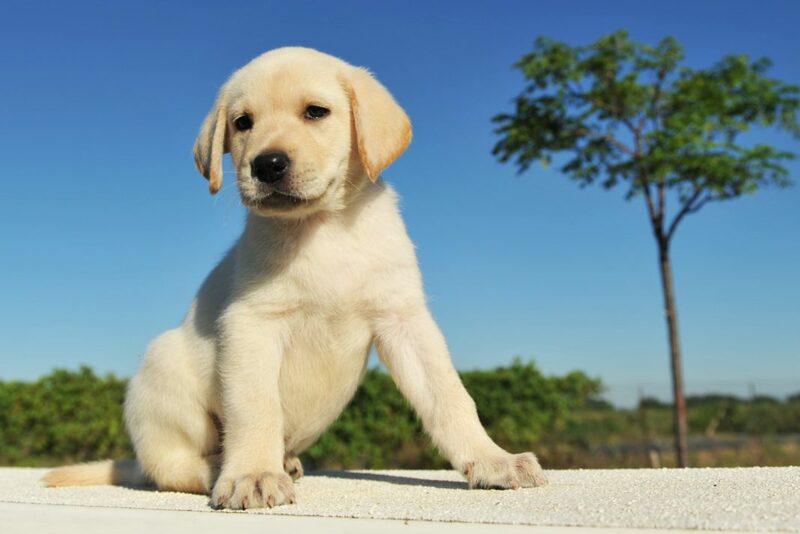 Trimming some of the unnecessary spending from your puppy budget will open up some funds so you can spend a little more on effective training, healthy food, and a long and happy life for your dog. But keeping a dog healthy and active can disrupt even the smartest of budgets. Whether you have a lot of experience with dogs or you’re a first-time owner, you’ll face a lot of surprise costs in taking care of your new best friend, so resist the temptation to overindulge. In your years living with your dog, what are your biggest spending regrets? What are some of the things you’re glad you spent more on?